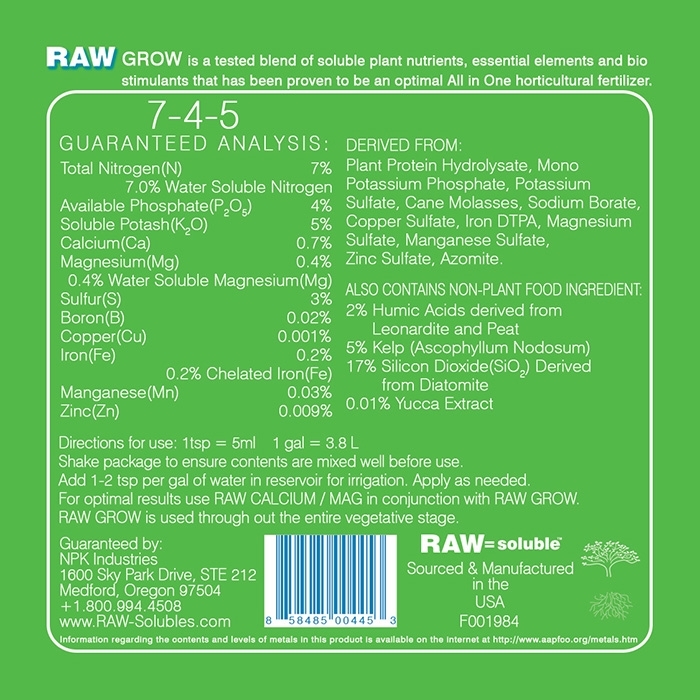 RAW GROW is a tested blend of all 12 RAW Soluble plant nutrients, essential elements and supplements. This blend has been proven to be an optimal all-in-one base “Grow” horticultural fertilizer. 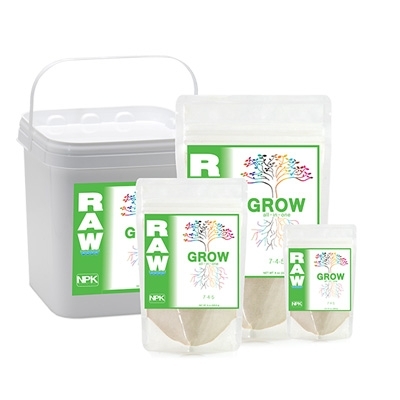 RAW GROW is used through out the entire vegetative stage.